Welcome to the war of Steampunk. 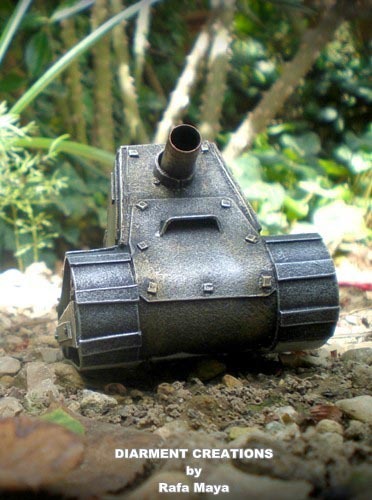 Unfortunately we just found a steampunk tiny tank model. It’s a bit difficult to collect an steampunk army. Anyway, we have one, and excellent. 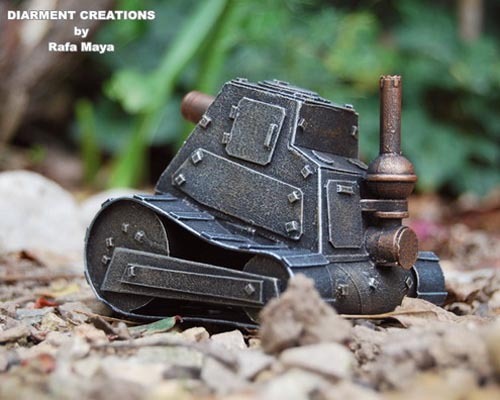 This steampunk tank is designed and created by Rafa Maya, a designer from Spain. The tiny model measures 2.95 x 2.56 x 2.56 inches. 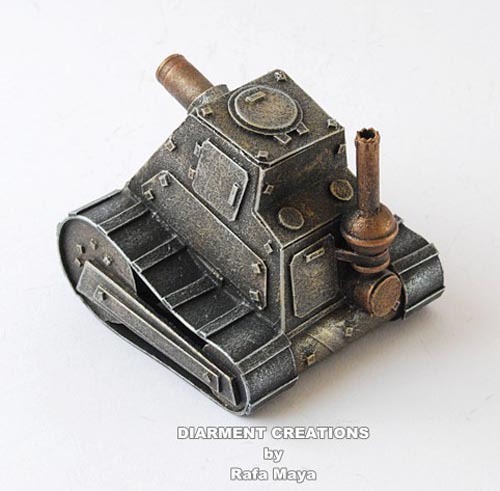 Although the tank seems so mini, it inherits the metallic texture originated front the real tank or armored car. Are you convinced that the steampunk tank is made of steel? In fact, the professional paint by the creator has deceived you. The tank is constructed of cardboard and recycled plastic. It’s really incredible! Well, that’s all. From the images, we can check almost all details. 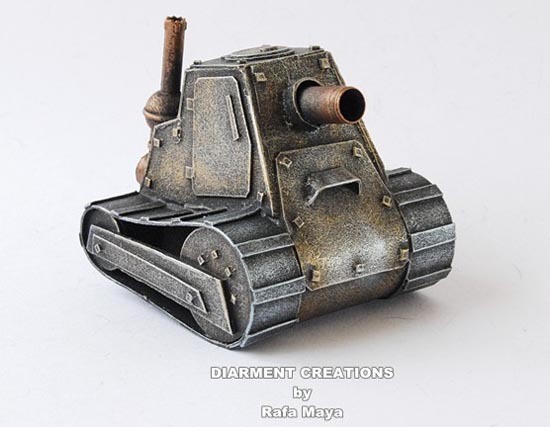 If you also like the tank model, pay $41 USD and get it back from Etsy. By the way, we have a steampunk heavy transporter by LEGO bricks.